[...] from the very beginning, I felt welcomed by Pope Benedict as a son. In him I have been able to know, with great pleasure, not only a Professor but a Pope who is an expert in liturgy. 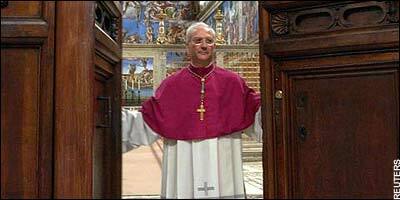 Some of us would take issue with Archbishop Marini's enthusiasm for the reformed Liturgy but it is all the more welcome for that, to find him recognising Pope Benedict's expertise.